If you have ham leftovers from the holidays or just bought one on sale, I have 5 delicious low carb ham recipes for you. Be it breakfast, lunch or dinner, I have you covered. 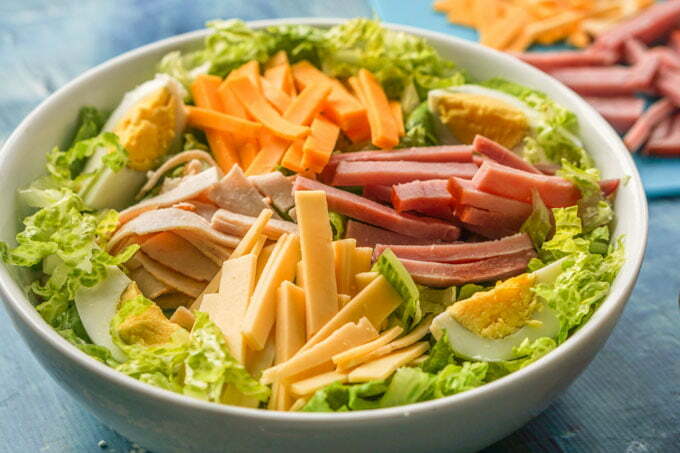 And I have a bonus easy low carb ham salad recipe too! 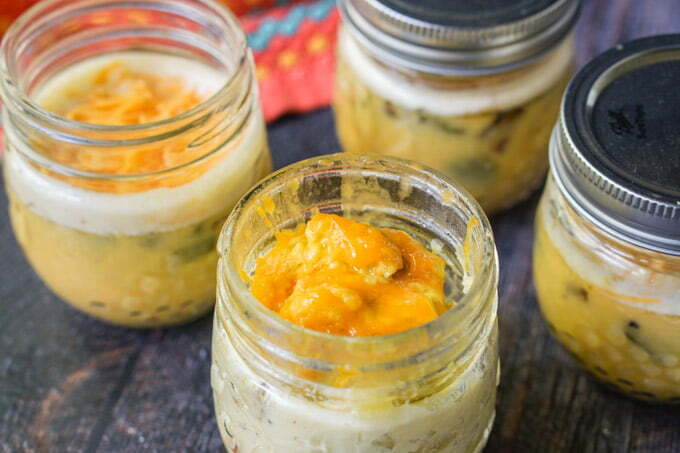 You might also like these low carb holiday recipes! Many people serve large hams for the holidays be it Thanksgiving, Christmas or Easter. What do you do with all that leftover ham? You can eat only so many ham sandwiches right. 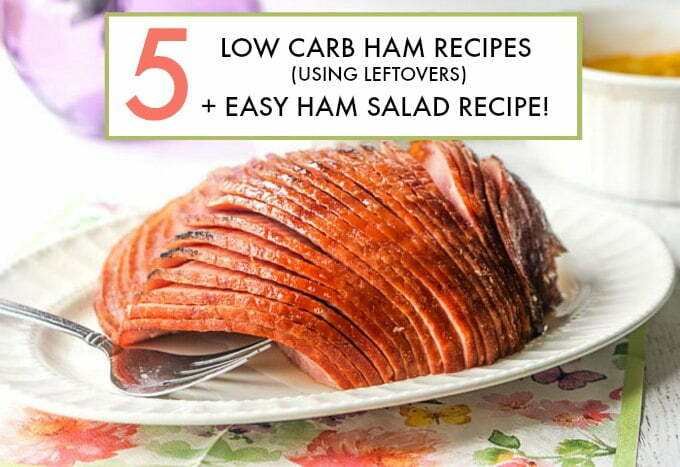 Below I have 5 low carb ham recipes that you can make with that leftover ham. 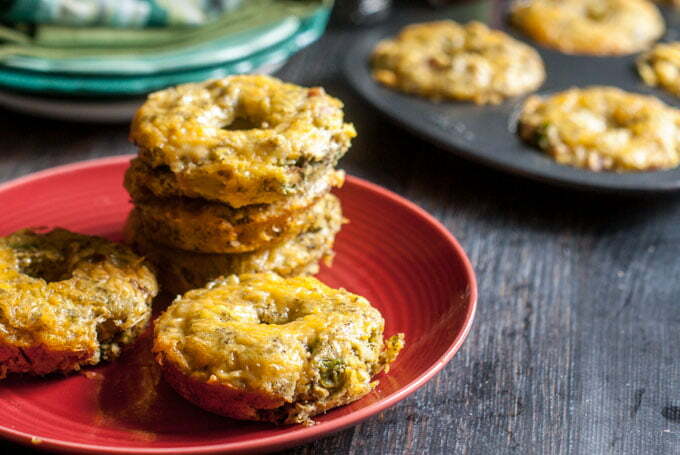 These recipes will cover you for breakfast, lunch and dinner so let’s check them out! Even if you don’t have a ham for Easter or other holidays, they are usually on sale during the major holidays so grab one and make all of these low carb recipes! I love western omelets. These are omelets with green peppers, onions, ham and cheese. So if you are an egg lover (like me) check out these two low carb western omelet ideas I have for you. The first one pictured below is a western omelet in a jar. It’s a nice meal prep idea that you can make ahead and pop in the microwave for breakfast. Easy to store and take with you since they are in these little jars. Find the recipe here. The second one is this western omelet bagel recipe. They are more hardy than an omelet but not quite bread. They are tasty and another good use for leftover ham. Find the recipe here. This low carb broccoli & ham casserole takes 5 ingredients and each serving is only 5.4g net carbs. 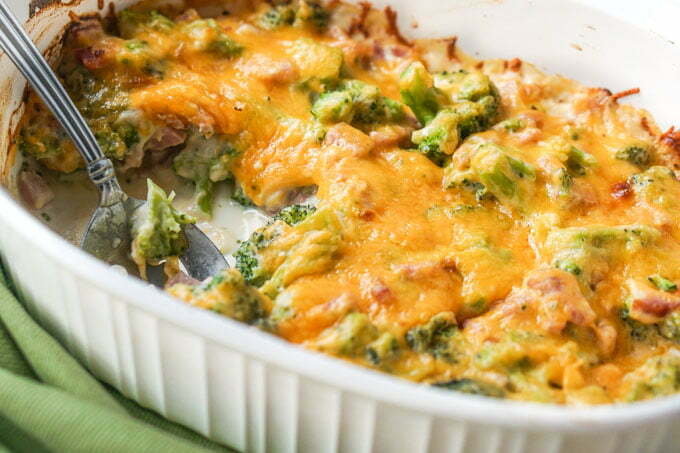 It uses cooked ham and broccoli and a cream sauce made with cauliflower, cream cheese and cheddar cheese. Top it off with more cheddar and bake. It freezes well too. Find the recipe here. This is one of my favorite salads. You can use leftover ham and turkey along with cheeses and hard boiled eggs. Each serving is only 3.0g net carbs. Goes great with red roquefort dressing! Find the recipe for both the salad and dressing here. 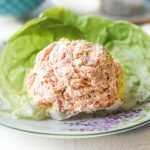 Yes everyone makes ham sandwiches with leftovers, but to keep it low carb, try one of these lunchmeat rollups! Fill them with sweet peppers, cucumbers, red onions, lettuce, mustard, ranch, whatever. 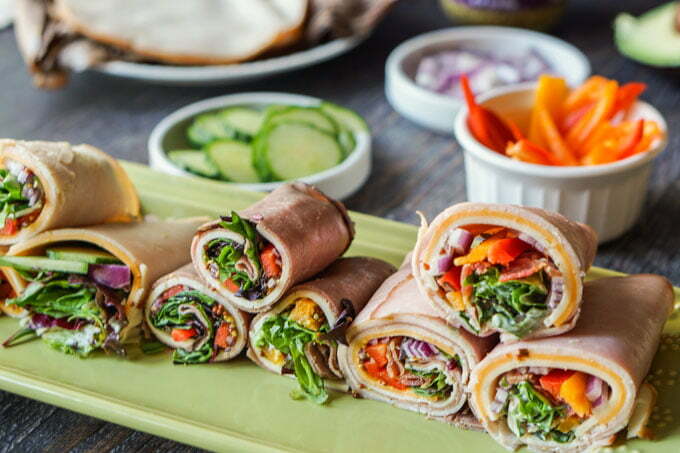 Roll them up and have for a bread free lunch! For these you want to slice your ham as thin as possible. This is a family favorite of ours. My husband taught me how to make this because his mom always did after having a big ham dinner. She would use the leftover ham bone to make ham stock and then add the rest of the ingredients. It’s a great way to use every bit of the ham. No waste and it’s simply delicious! While the original recipe uses potatoes, you can just eliminated them to make it low carb. Here’s the recipe in a nutshell. 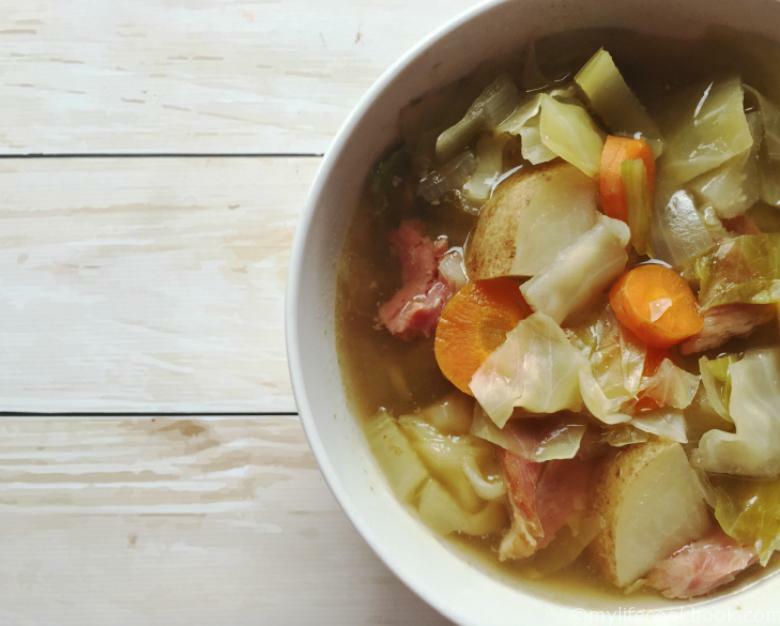 This is probably my first go to recipe to use leftover ham. It reminds me of my mother who used to give us ham salad on crackers for lunch. I just like it as is on a nice piece of Bibb lettuce. In this ham salad recipe I use of course ham, onions, celery, mustard, mayonnaise, dill pickles and Swerve sweetener. When I’m in hurry I leave out the onion, celery and mustard and it’s still very good. Add the ham to a food processor and grind the meat. Pour into a bowl and then add the celery, dill pickle and onions to the food processor. Pulse until finely chopped and add to the ham. Mix the mayonnaise, mustard and Swerve sweetener and them add to the bowl. Mix well and refrigerate. 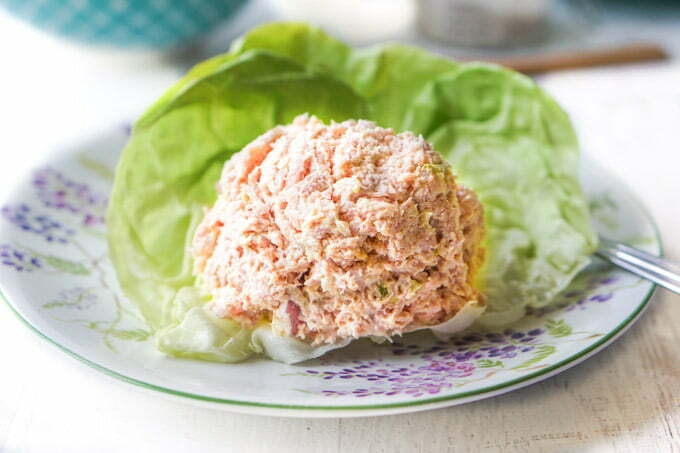 This low carb easy ham salad only needs a few ingredients and a food processor to make! Add the ham to a food processor and grind it up. Pour into a large bowl. Place in the celery, onion and pickle into the food processor and process until finely minced. Add to the ham. Mix the mayonnaise, Swerve sweetener and mustard together. Pour on to ham and mix well. 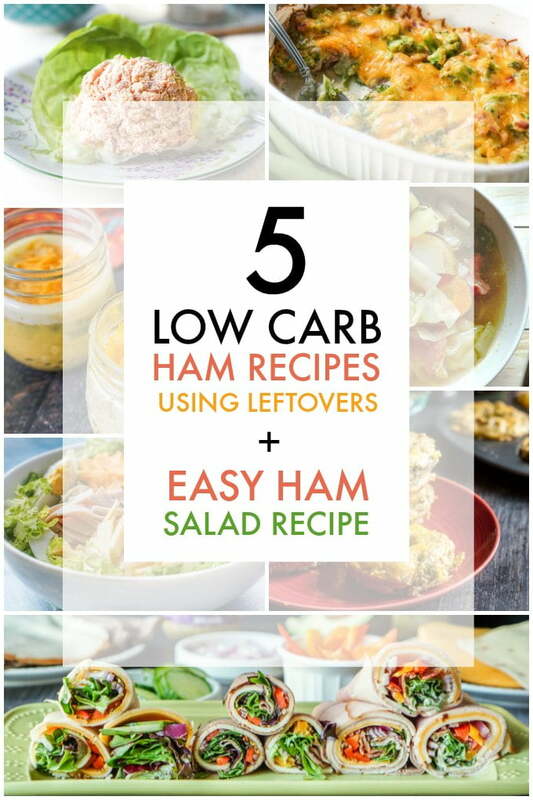 Well I hope you enjoyed these 5 (actually 6) low carb ham recipes using leftovers. How do you eat your ham leftovers? Drop me a line and let me know! Previous Post: « Easy Garlic & Rosemary Leg of Lamb in the Instant Pot for Easter!